Singer, songwriter and producer gnash, released his new single “t-shirt” via all digital and streaming platforms. 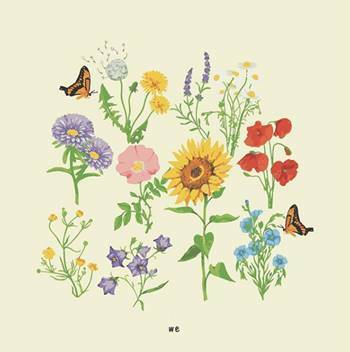 Released through Atlantic and :): Records, the new single will be included on gnash’s forthcoming full length debut album "we," out January 11, 2019. The official music video which released on December 14, 2018, pays homage to some of the bands that have played a major influence on gnash’s career – including Good Charlotte, All Time Low, Travis Barker, Paramore, My Chemical Romance and Panic! At The Disco. "we" is the long-awaited follow up to gnash’s 2016 EP us, which produced his explosive 4X platinum and Billboard chart topping breakthrough hit “i hate u, i love u” feat. Olivia O’Brien. Featuring 8 new tracks (13 total), we was recorded in Los Angeles and Nashville, and features production by gnash, Imad Royal (The Chainsmokers, Panic! At the Disco), Jimmy Robbins (Kelly Clarkson, Kelsea Ballerini, Maren Morris) and more. gnash will head out headlining The Broken Hearts Club tour beginning January 8, 2019 in Santa Ana with special guests Carlie Hanson, Guardin and Mallrat. The 22-city North American trek will hit a number of major cities including Nashville, New York, Chicago and San Francisco, and will wrap up in Los Angeles on February 8. For further ticket purchase information, please visit gnash.us/tour. 2018 continues to be a very productive year for gnash. Collectively, the tracks have garnered millions of streams online to date, and the music video for “imagine if” currently sits with over 4.4 million views on YouTube. In September, gnash embarked on a North American trek as support for Dashboard Confessional and All Time Low for their Summer Ever After Tour. “t-shirt” is available now at all digital and streaming platforms. "we" will be available everywhere on January 11, 2019. Pre-order the album HERE. gnash is a multi-platinum and Billboard chart topping singer, songwriter, producer and DJ. A Los Angeles native, gnash stepped into the national spotlight in 2016, with his 4X platinum breakthrough hit “i hate u, i love u,” which spent an impressive 39 weeks on Billboard’s Hot 100 chart, peaking at #10. The single also landed at #5 on the top 40 radio chart, and has to date accumulated over 800 million audio streams, and over 400 million YouTube views. The track was included on his third EP, us, which released in March of 2016, following his two previous EPs, March 2015’s debut u, and the December 2015 follow up, me. In October 2016, gnash was featured on acclaimed singer, songwriter MAX's 2016 platinum breakthrough hit "Lights Down Low,” which has accumulated 200M+ streams to date and made the top 10 at Top 40 Radio. gnash has performed on The TODAY Show, as well as, Late Night with Seth Meyers, and has been featured in numerous high profile publications including Billboard, Vogue, Nylon, The New York Times and Teen Vogue, in addition to countless others. A strong advocate for mental health, gnash has been open about his struggle with mental illness and has publicly acknowledged the benefits therapy has had on his life. gnash uses his story to show fans that its ok to have feelings, and through his music, has encouraged people to find their own unique way to express them.